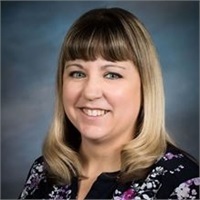 Becky Lennarson | Equitrust Financial Group, Ltd. Since 2008 Becky has made it her mission to provide our customers with superior service. She works closely with advisor, Steve Hyman's, clients and is responsible for processing new and existing business and client service requests. Her follow up and attention to detail are excellent. Becky enjoys spending time with her husband and two children and is a recent new grandma.